Welcome to our Early Years information area. Here you will find key information about how your child learns at school , regular updates and ideas for how you can support your child at home. Has your child just turned 3 years old? Do you have a child that was born between 1 September 2014 and 31 August 2015 ? You will need to apply for a primary school place for them to start in Reception in September 2019! 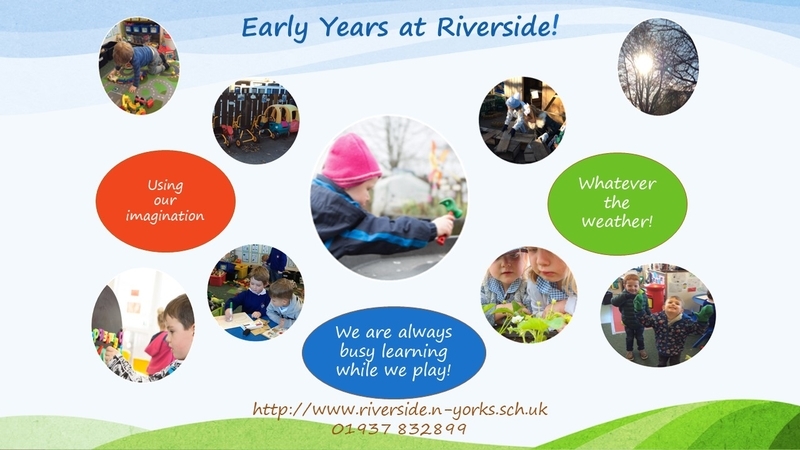 What happens when my child moves into Riverside Reception?